Ekiti University Lecturers’ Strike Called Off. 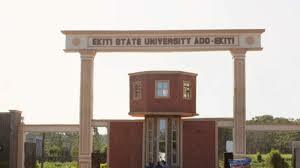 Ekiti University lecturers’ strike has beenncalled off on Thursday in a meeting, 53% voted for call off of the strike if one month salary and one month deduction is paid while 43% voted for continuation of the strike. The University management has agreed to pay the one month salary and one month deduction. World Teachers’ Day And A Profession In Extinction.